Intel presents its first 64-layer 3D flash series with storage capacities ranging from 128GB all the way up to 2TB. The 512GB model costs $180. While Intel’s previous SSD models weren’t particularly the cheapest or fastest, the Santa Clara giant intends to change all that with a new model specifically designed for the mainstream market. 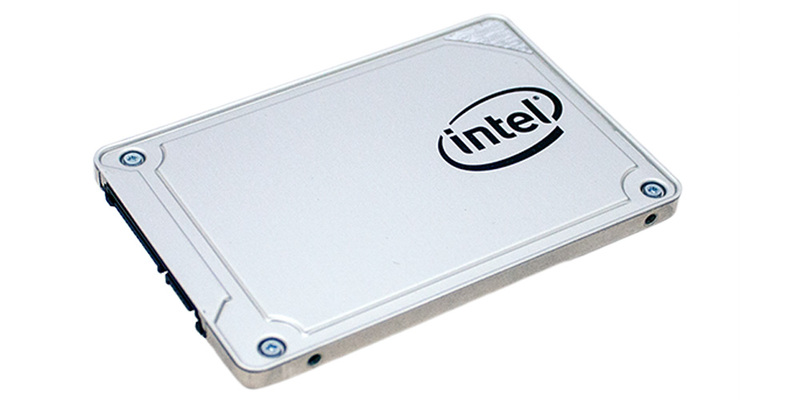 The new 2.5-inch 545s SSD is meant to combine high storage capacity with speed while keeping costs as low as possible. The 545s integrates the extra-dense 64-layer 3D NAND flash configurations, thus reducing the needed number of storage chips and leads to lower overall prices. How low? As low as $180 for the 512GB model. Intel intends to launch models ranging from 128GB all the way up to 2TB in the near future. Performance-wise, the 545s is able to provide speeds of up to 550MB/s for sequential reading and 500MB/s for sequential writing and even though these numbers are not really a big improvement over the 540s models, the difference is in the sustained speeds offered by the 545s in non-ideal conditions. Competition on the mainstream side of SSDs is about to get fierce, as Samsung, Toshiba, Western Digital and ADATA are also preparing to launch affordable 64-layer 3D models of their own this summer. This always a good sign for the end users, as the price wars should reduce the overall costs and make the old hard disks obsolete.